My mother cruised with us a couple years ago and stayed forward on deck 10, while we were aft on deck 8. You'd never have known we were together, had we not met up for dinners. She was on vacation too and her idea of a vacation is not the same as our idea, seeing as we had an 8 year old with us. We had 2 completely different experiences, despite being on the same ship going to the same locations. She was right under the SPA, Salon, and Fitness Center and VERY close to the adult only Quiet Cove and Satellite Falls pools. She said that she hardly saw ANY kids except for when she was meeting up with my family. She even booked adult only excursions and enjoyed being with her guest and other adults. So how is it that she was able to have an adult cruise on a Disney ship?? 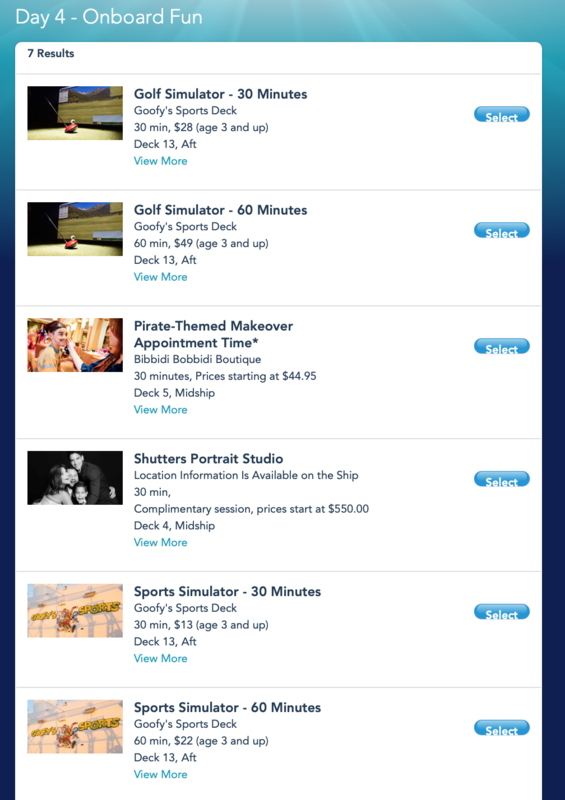 Disney Cruise Line (DCL) offers SO many opportunities for adults to have JUST adult time. There are the above mentioned areas, but there are also clubs, dining, and even an entire deck area restricted to children. 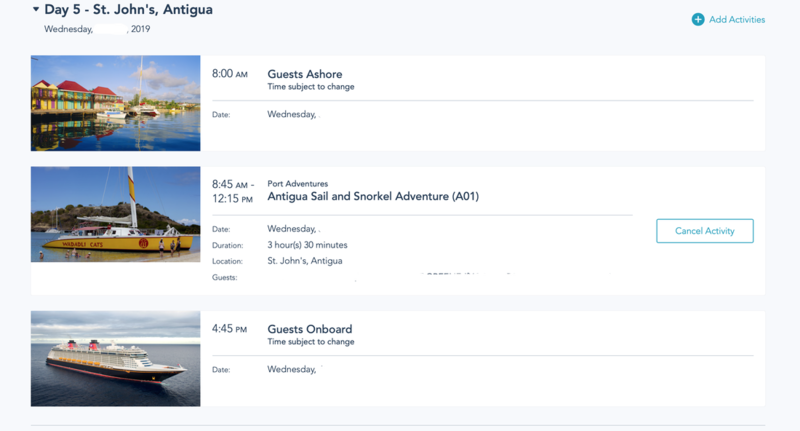 They even offer adult only excursions and there is an adult only area reserved on Castaway Cay, Serenity Bay. If you are into the nightlife, Disney Cruise Line will not disappoint. There are many different clubs, entertainment, lounges, & live shows for you to enjoy. Click here for more detailed information. Maybe clubbing isn't your thing, or you also want to relax and unwind, well, Senses SPA & Salon is perfect for you. They are a full service spa and salon. You can even get your teeth whitened while cruising. Now, just so you know, DCL does have a Spa for younger folks too. The Chill Spa is for those 13-17 and is located inside the Senses Spa. It is separate from where the adults are enjoying their experience AND a parent or guardian must be present during the entire duration of their spa treatment. As for adult dining, in a previous blog, I discussed the adult-only experiences that my husband and I enjoyed. Here you will see how amazing our adult only Palo Brunch was. Though we toured Remi, I have yet to dine there. It is fairly fancy and those that have dined there call it an 'experience' and rave about how fantastic it is. I will say, since my husband and I are not big drinkers, we did not really check out the adult lounges or clubs, except for walking through the area getting from one place to another. However, on the tour, I really was impressed with Pub 687. It is a very masculine area (not stuffy at all) and is the spot to catch all ESPN has to offer. Across is a place I'd like to visit, Pink Wine & Champagne bar. It is just bubbly fun and well, pink. It looks like a girly dream all the way down to the pink piano in the corner. Below are pictures from the tour. Again it is impossible to do this ship or these locations justice snapping quick photos on a tour. I hope you are able to get a better idea of what is available for adults and are as pleasantly surprised as my mom was. I think she and her guest thought they were going to be inundated by children, and they most certainly were not. So, let's book that cruise. Take that adult only trip. Let me help you plan the perfect DCL vacation for you, your friends, and your family. Sharing is caring! Every booking helps a small business to grow. Thanks for reading!! If you’re thinking a Disney Cruise is only for children and children and more children, think again. 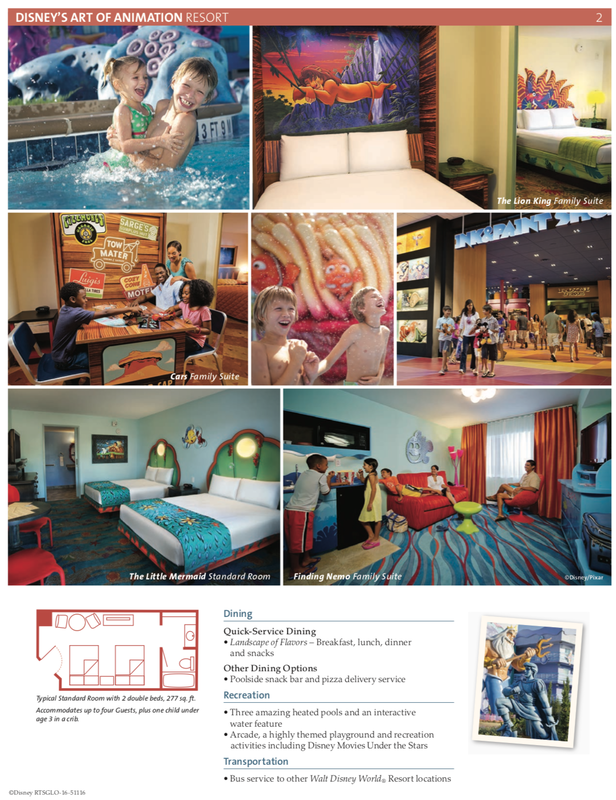 Now, there are PLENTY of areas for kids, but Disney thinks of EVERYONE and knows that adults are also on their vacation and they make sure to take VERY good care of you too. Whether you’re adults traveling with kids, traveling alone, or on an adult-only trip, you may be surprised to see all the activities and adult only areas created especially for you. 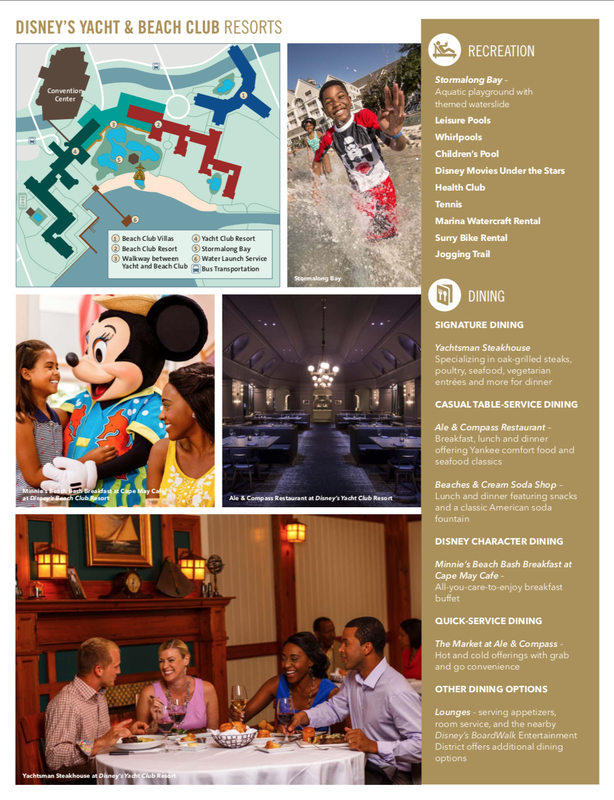 Let's suppose you are a parent or grandparent that have brought your children to experience the magic of a Disney Cruise, there are oodles of programs and fun planned just for them. You can send your children and teens off to special programming in the coolest spaces, so there’s no need to feel guilty about dropping them off. ​For the youngest children, It's a Small Work Nursery is dedicated to the youngest guests. Children from 6 months - 3 years old (or from 1 to 3 years old on Transatlantic and Panama Canal itineraries) can play games, make crafts, watch movies or even take a nap while you embark on adventures of your own. You can pre-book a select amount of nursery time, then book more upon availability once on board. 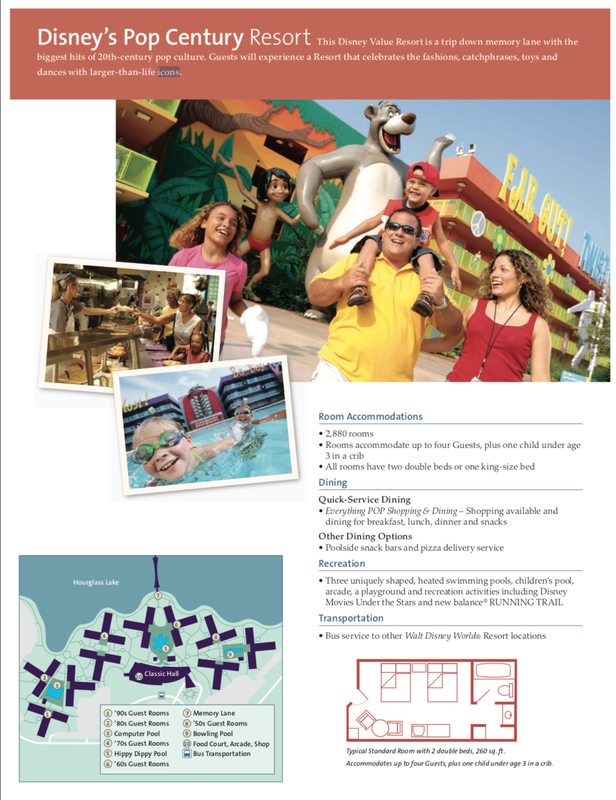 For Children 3-12, Disney’s Oceaneer Club and Disney’s Oceaneer Lab is the place to be. Upon boarding the ship on Embarkation Day, both children and parents must check in either in the cruise terminal or at the club/lab location on the ship. 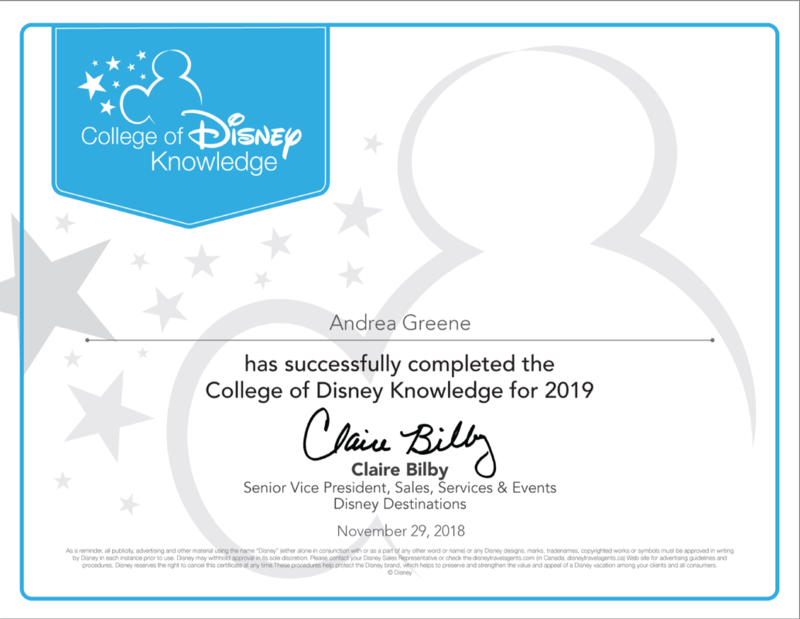 Parents will fill out final paperwork and children will receive a Disney Cruise Line Youth Activities wristband, which grants them access to both Disney’s Oceaneer Lab and Disney’s Oceaneer Club. You can decide at that time if you will allow your child to check themselves in/out of the club or if they will require a registered adult to do so. During this confirmation process, parents are invited to tour the facility, meet the counselors and learn more about the many activities offered. No adults, besides cast members are allowed within the clubs including the other designated clubs, Vibe (teens) and Edge (tweens), except during designated open house times. Now, because while we were on the ship, it was open house times, there were a lot of kids and parents in the clubs. I did not want to be accidentally getting photos of kids, so my picture taking was limited. ​We did NOT get a chance to visit Edge (11 - 14 yr olds), which bummed me slightly as this year will be the first year my daughter can go there. I will get photos during open house on our June cruise and add them to a later blog. And yes, before you ask, Disney is very strict in honoring their age policies. It never hurts t ask if an 'on the edge of the next club level' is allowed to move to a different club, but do NOT assume they will allow it. 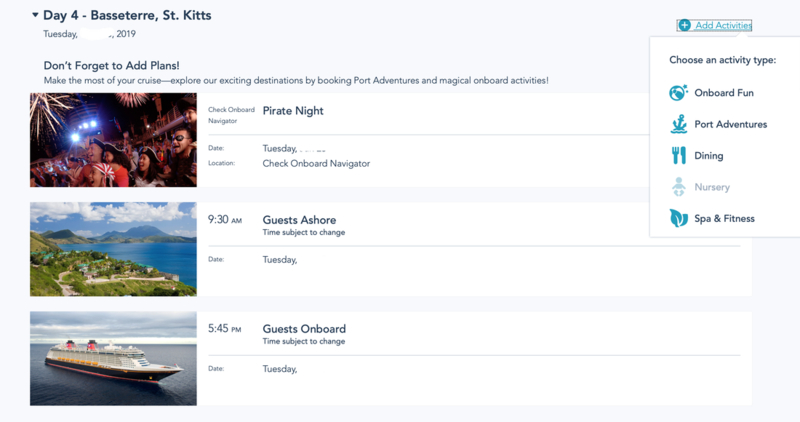 Even if your friend that knows everything about Disney Cruises tells you otherwise, NEVER assume Disney will bend a rule for you (even if they did so in the past). Part Two of this blog will be all about what adults are able to do now that we know where the children will be. Thanks for reading. Stay tuned for part Two. After our delicious breakfast at Boma, we were whisked away on the other most magical bus in the world, The Disney Cruise Line bus. 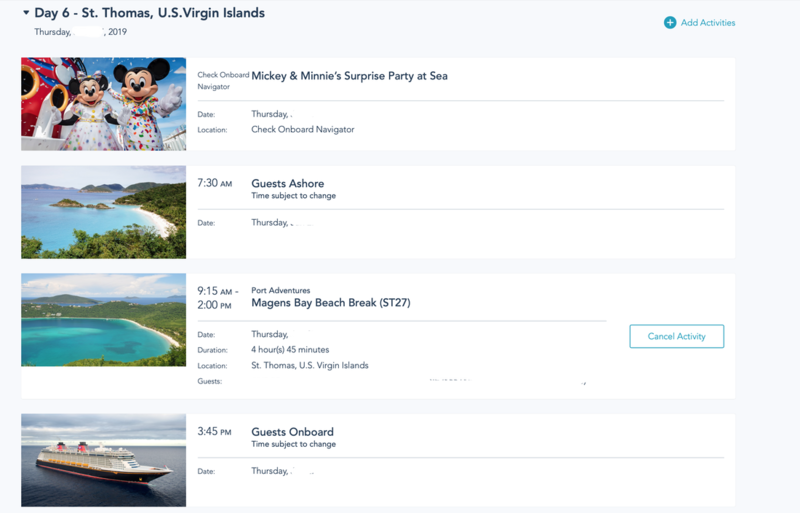 Considering where the DCL bus usually takes you, which is on a most fantastic voyage with superior service, first class entertainment, and top notch accommodations, I'd say it is neck and neck with those Magical Express buses. 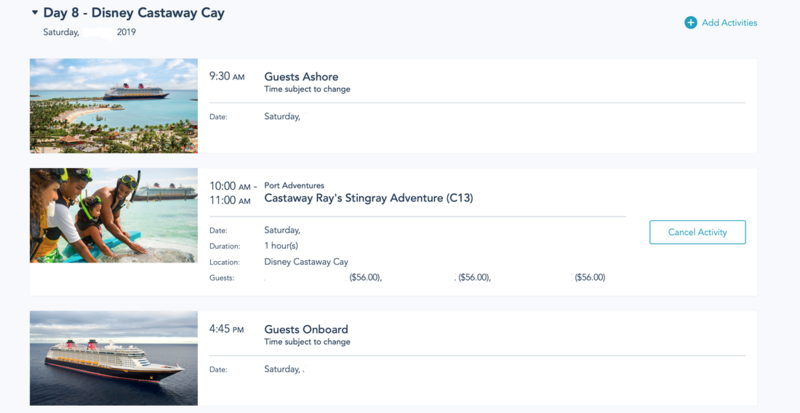 Unfortunately for us, we were ONLY going on a tour and not to be a negative Nancy, but it is just cruel to put ME on a DCL bus, take me to Port Canaveral, parade me around The Disney Dream cruise ship, then make me get off said ship without so much as even a 3 hour tour of the coast of Florida. But I digress. I did bring my passport just in case they reconsidered. Alas, they did not. There is just nothing better after an hour long bus ride from the most magical place on Earth, than to look out your window and see a Disney cruise ship anchored, awaiting your arrival. I was just as excited to see it for the tour as I was when I actually was going on my own cruise. (Well almost) And I may be biased, but I think Disney ships are the most beautiful ships and the others pale in comparison next to her. We headed straight to the Disney Cruise Line exclusive terminal at Port Canaveral. Though not owned by Disney, it is completely created for Disney so that guests can begin to feel the Disney magic the moment they clear security and ride that escalator to begin their check-in process. There are Disney friendly cast members waving at and greeting guests and directing them where to go to begin their magical journey. We arrived close to 10:00AM and the terminal was virtually empty, but that didn't last long as guests started to trickle in. Once guests check-in, they will be assigned a boarding group number. Once they start allowing boarding, the numbers are called fairly quickly. 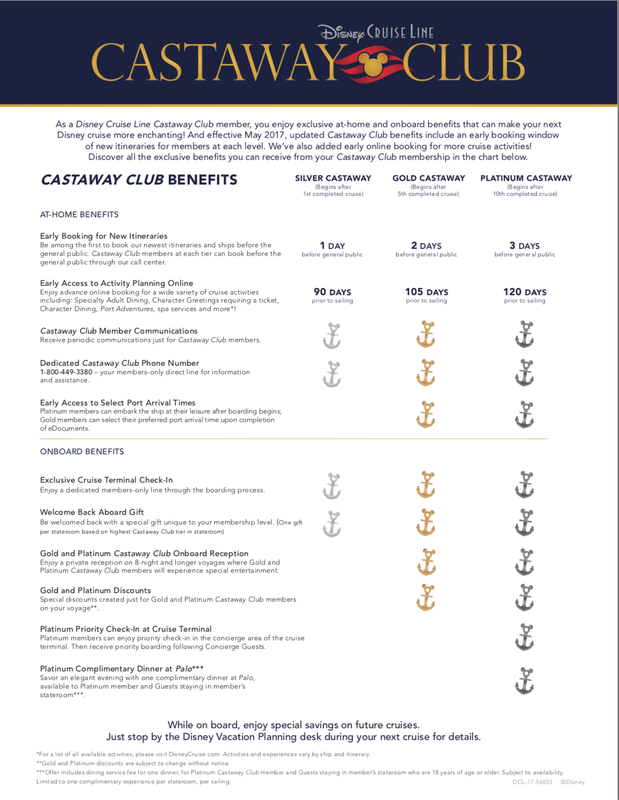 As a perk, Platinum Castaway Club members get to enjoy priority check-in in the concierge area of the cruise terminal. Then receive priority boarding following Concierge Guests, which board at 11:30 vs regular boarding which begins at 1:30. While waiting for that number to be announced, guests can take in the terminal. There is a giant replica of the Disney Magic to oooh and ahhh over. As the cruising guests start to arrive, special Disney guests show up to welcome the families and sign autographs and take photos. Also, out the back end of the terminal is a sundeck where you can go out and watch the loading of all the yummy eats and mass amounts of supplies heading onto the ship. It's a great place for photos and to take in the grand scope of the ship about to take you to a tropical destination. Believe it or not, time goes by pretty fast and before you know it you'll be boarding e ship, getting that Welcome Aboard photo, then hearing your family name announced with applause as you cross the threshold between land and sea. The Disney Dream is the sister ship to The Fantasy which we sailed upon 2 years ago on a 7-night Eastern Caribbean Cruise. We will be returning to the Fantasy this June. The two ship are VERY similar and really the only real difference I noted was the theming in the adult areas and minor decor differences in main atrium . Other than that, the only other major difference is the itineraries, which makes the cost of the cruises different as well. On the tour we literally went from top to bottom and forward to aft and both port and starboard sides of the ship. We saw a wide variety of categories of staterooms offered. Unfortunately, because the rooms were not guest ready, and were in the process of being prepared for sailing, we were not allowed to take photos within the rooms. Suffice to say that I have a thorough understanding and can now say I have seen just about all there is to see regarding every category available on the ship, from inside staterooms with a magical porthole to ocean view with a porthole so late you can comfortable sit in it, to the top of the line Walt Disney Suite with it's own huge private sundeck and hot tub. There are rooms to accommodate those with disabilities, both inside staterooms and those with verandahs. There are staterooms that can sleep up to 5 or only accommodate 3. Adjoining rooms and shared balconies are available for larger groups/families. We were allowed to take photos of other areas of the ship as they were guest ready, seeing as guests were boarding by this point. The pictures below will be a glimpse at the beauty of the Disney Magic. It is quite difficult to determine the best way to share what I learned and/or saw on this tour or on my personal cruise. I have previous blogs detailing some of the previous cruise, but I apparently did not want to bog you all down with every detail of my trip and didn't. I will do another post regarding adulting on a Disney Cruise. Here I will share the SPA experiences and the other Adult areas. I will also briefly discuss the kid's areas of the ship and how that works. Click here for a link to the dining options on Disney Cruise Line. Some are ship specific, but you can reach ship specific details in the drop down menu. Below I included some photos of the dining areas we visited, including the adult only Palo (My blog of our experience during my cruise) and Remy and where we had lunch, Cabanas, which is a massive buffet dining area. Thank you for reading my blog. Hope you enjoyed visiting the Disney Dream with me and are ready to see it for yourself. 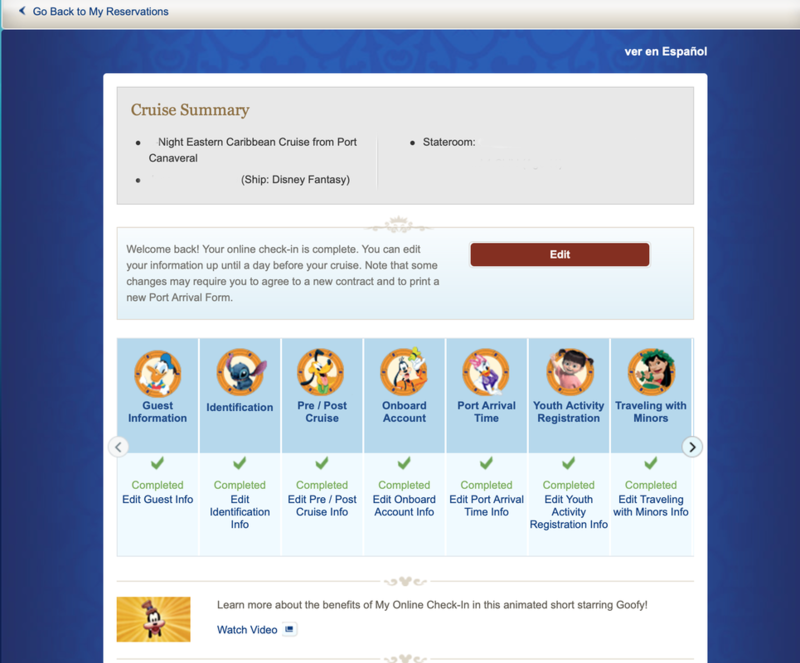 Request a quote to get yourself on this or any of the other ships among the Disney Cruise Line. Be on the look out for my next blog regarding adulting on Disney Cruise Line. It is NOT just a cruise for kids! Feel free to give us a LIKE here or a SHARE on Facebook. If Boma wasn't over 18 hours away from me, I'd be there right now eating ALL THE FOOD. I literally have never seen so much food at a breakfast buffet in all my life. If you can't find something to like here, you might as well starve. As for our group, we had to scarf this awesomeness down with a quickness. We had a date with the Disney Dream cruise ship at Port Canaveral and time was of the essence. I never ate so much so fast. For this reason, we did not tour Animal Kingdom Lodge, though you know me, I did snap as many photos as I could between Boma and our DCL bus. Again, I have never stayed here as we, my family, are creatures of habit and once we found resorts we liked, we go back again and again. That is why this AEP was such a perfect trip for me. I would never, as much as I'd want to, take time out of my family trips to tour Disney Resorts. I just wouldn't. Because of this AEP, I don't have to. I visited so many resorts and dining locations that I never would have otherwise. I learned so much about all the resorts, where they are located, how the rooms are set up, what each has to offer, and so on. I learned things you simply can only learn through being there. The photos and web descriptions do not do any of the places we visited the justice they deserve. 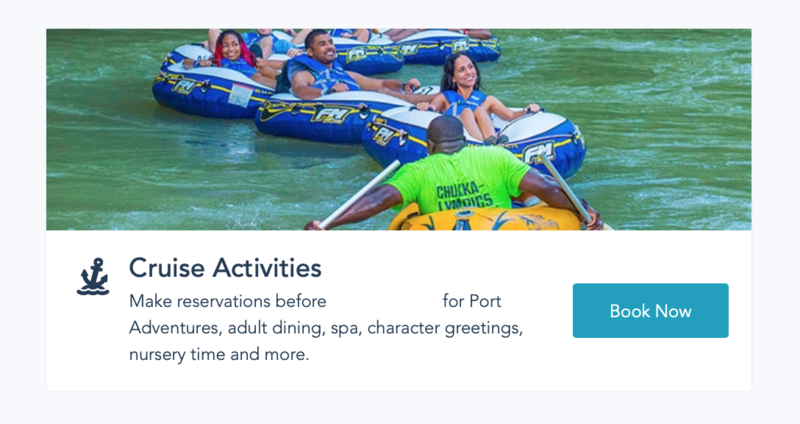 I have an all new respect for Disney's value resorts. They may not be for everybody, but I think everyone could find something to enjoy at any of them, especially the theming that is just over the top Disney perfection. 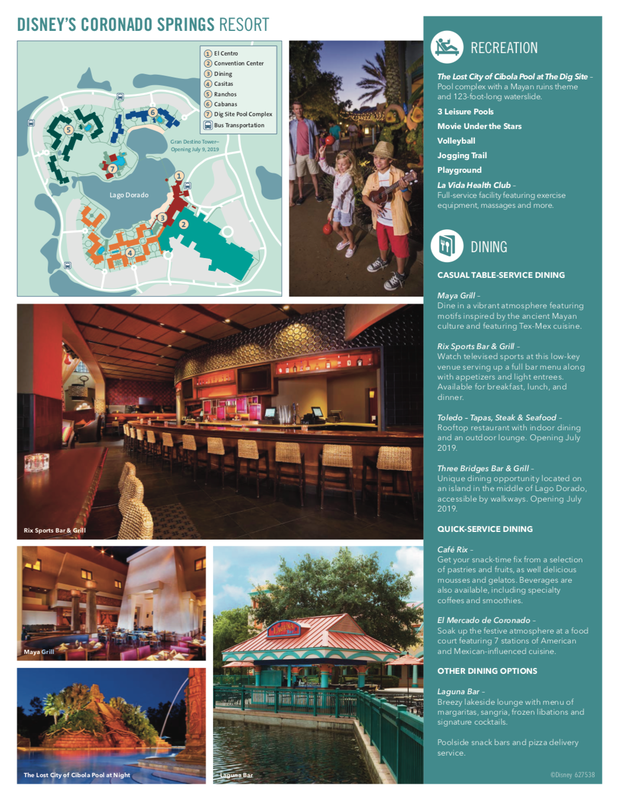 I was pleasantly surprised at not only the incredible theming, but also the dining experiences at these resorts. You do NOT miss out by staying at a less expensive value resort. In fact, you could feasible stay at any of them, and if your budget allows, put more money into deluxe dining or adding extra magic like an After Hours event or even VIP tours. Ask me about any of these, if you are interested. The moderates we visited were also just beautiful. The attention to detail that Disney painstakingly has perfected did not go unnoticed by me. I LOVE that in Coronado Springs, Disney paid homage to The Three Caballeros, my favorite hidden gem in the Mexican Pavilion at Epcot. (If you never ventured inside the Mexican Pavilion, do it and in the back left corner, you will find this fantastic little piece of Disney perfection) And the refurbishments at Caribbean Beach are top notch. The lobby alone is just overflowing with deluxe quality decor. Be sure to take the time to wander through the resort properties. Curved tropical tree-lined paths wind you through walking trails, play areas for the kids, sunrise/sunset viewing areas, and even hammocks dotting the landscape overlooking the water. ​Next up is our visit to Port Canaveral and The Disney Dream. As always, please give us a LIKE and sharing is caring. After a long day of meetings and resort tours, the tired me was NOT wanting to do anything but go back to my resort and sleep. I had a bit of bronchitis and had not slept well the entire stay. HOWEVER, there was NO WAY I was going to miss the special ticketed event I had already paid for, especially since it meant having my most favorite place in the world virtually to myself for 3 hours. For my particular experience, I already had park tickets for the day, so I could enter at any point. However, you do NOT need an additional park ticket for this event, similar to the Halloween party and the Christmas party. Non-park ticket guests can enter the park at 7PM prior to park closing. The event start times vary depending on park hours that day, but can last anywhere between 8PM - 1AM. (a 3 hours time span) Mine ran from 8PM - 11PM. I arrived around 7PM-ish and the park was still quite crowded waiting for the Happily Ever After and Once Upon A Time evening castle projection show and fireworks. Now, because I have seen this before and I am NOT a crowd person, AND we are coming back in April, I decided to scope out other viewing areas for these shows. I found some GREAT locations to view both and likely will never fight that in front of the castle crowd again. Now, having said that, if you haven't witnessed these events before, do it. 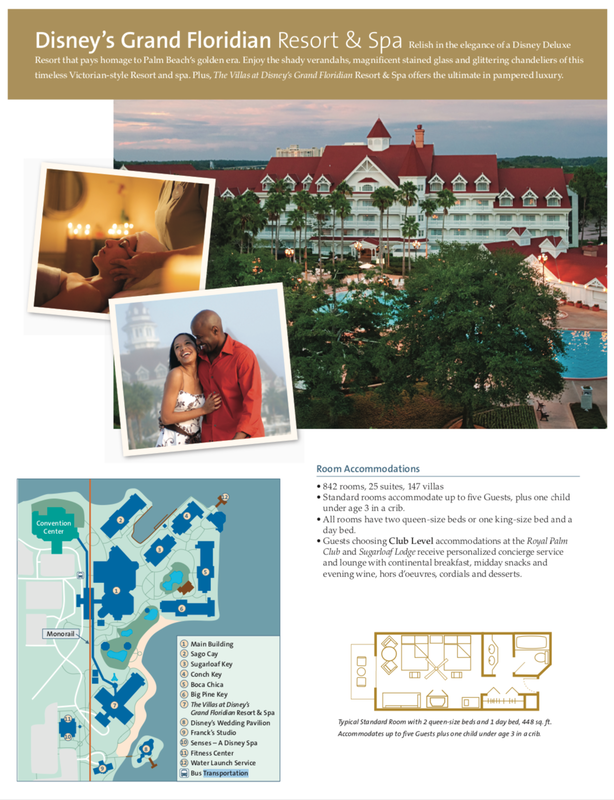 Do it RIGHT IN FRONT OF THE Castle or have me reserve you a dessert party or dessert cruise. However, if you have been there done that, I highly suggest heading to Tomorrowland as an alternative to the crowded areas. The crowds got a bit thicker as I made my way to Fantasyland. ​I absolutely LOVED having the fireworks literally exploding right over my head. There were so many places to sit or stand with basically no other people around. It was amazing and not even a part of the After Hours event. Ok, now on to the actual event . . .
After the fireworks, the non-After Hours guests have to get out. LOL. After Hours guests are given a special band upon check in. Upon arriving at the park hosting After Hours, you find the sign outside, like the one in the first photo above. You are then directed to other cast members that will put your special ticketed event band on your arm. Regardless, the streets were mostly empty and I literally LOVED just wandering around in no particular hurry and no particular plan in my own little magic world. It was a dream come true. Another aspect that was quite nice was that they had snack carts set up with all the snacks and non-alcoholic drinks you wanted for free. Again, it was COLD, so I didn't care to eat Mickey Bars, but the popcorn hit the spot. After hitting the rides I had to get an actual dinner. I was starving. The normal table services are NOT open, but Casey's Corner was wide open with not a single person ahead of us. If you've ever walked by Casey's on Main Street it is ALWAYS filled to the gills. Always. Not on this night. 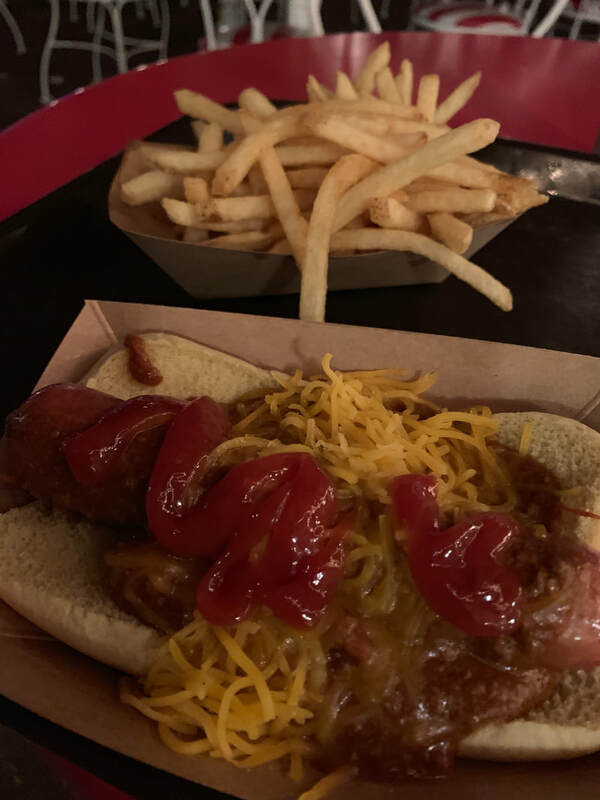 Walked right up, got my chili cheese dog and enjoyed every sing bite, and didn't have my husband there to be grossed out with my selection. LOL On a side note, if you are at a park during regular hours and plan to dine at a quick service, by all means ORDER AHEAD on your My Disney Experience App on your smart phone. I can't stress how fantastic this service is and how much time you save by NOT waiting in line to order. So to sum up, I can say in all sincerity that Disney's After Hours events are worth every single dime. If you have littles that can't hang that late at night, the perfect alternative is Disney's Early Morning Magic. 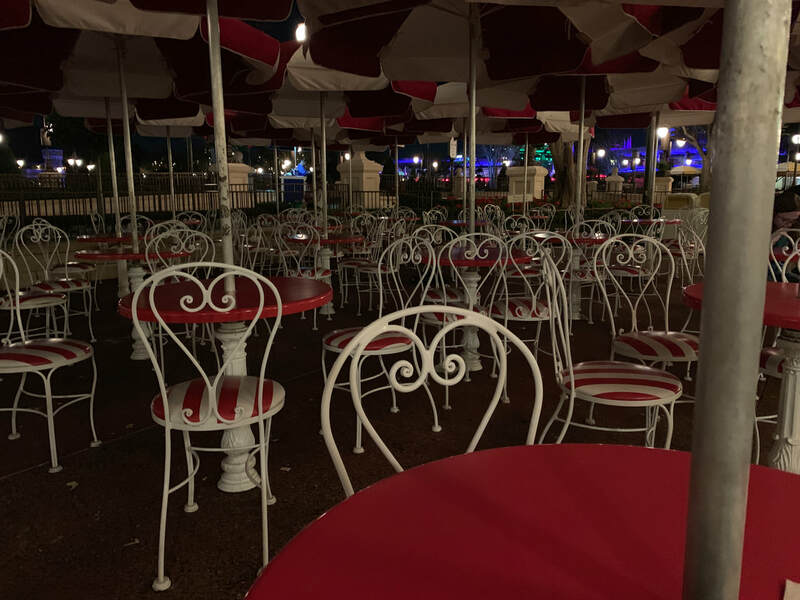 I can book both of these events for you and will link them to your My Disney Experience account so all you have to do is show up, relax, eat the food, ride the rides, admire the emptiness, and take in the park like you own it. 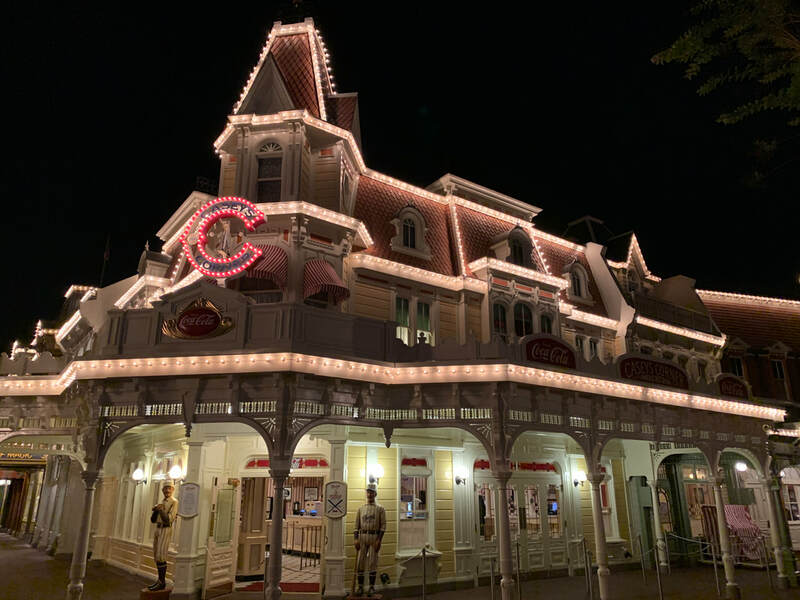 I hope you enjoyed this blog post as much as I enjoyed revisiting one of my most favorite non-family moments at Walt Disney World. As always, please give us a LIKE. Share us with your friends and family. Leave a comment or ask a question here or on our Facebook page. Book that vacation. Add magical extras. Have a Magical day! Our last stop of the day was at Disney's Beach Club Resort, then we walked over to Disney's Yacht Club Resort, the sister resort to the Beach Club. What can I say about these 2 resorts that I haven't said before? They are my favorite resorts on property. Click here to read my previous post about deciding upon our April 2019 stay at Beach Club and there you will find a link to our previous stay at the Yacht Club Resort. The Beach Club Resort is considered the more 'laid back' of the two resorts. Our guide even said someone told him that they considered the Beach Club more masculine and the Yacht Club more feminine. Not sure I agree there, but Disney defines it as a New England-style resort. 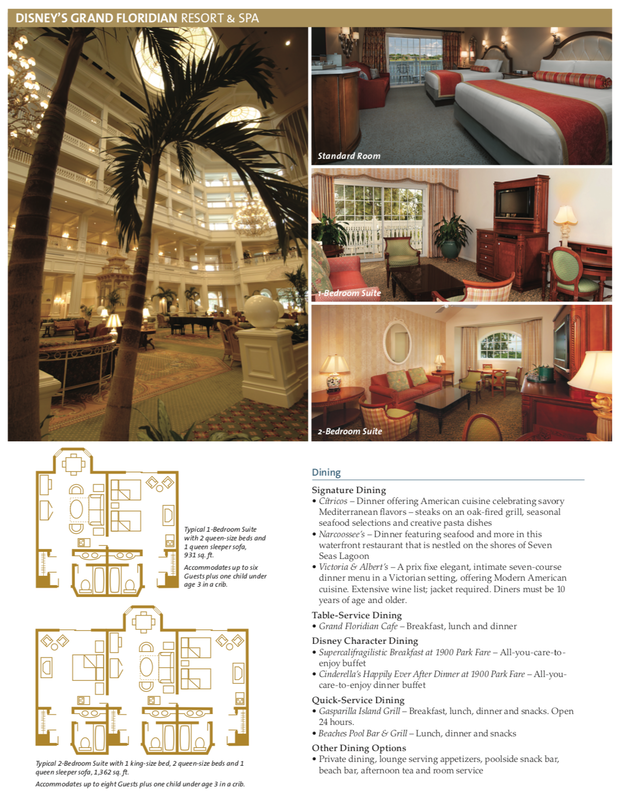 Whatever it is, I love it and find both of them every bit as beautiful as The Grand Floridian Resort & Spa. The Yacht Club Resort, I guess you could say, is more fancy or elegant. 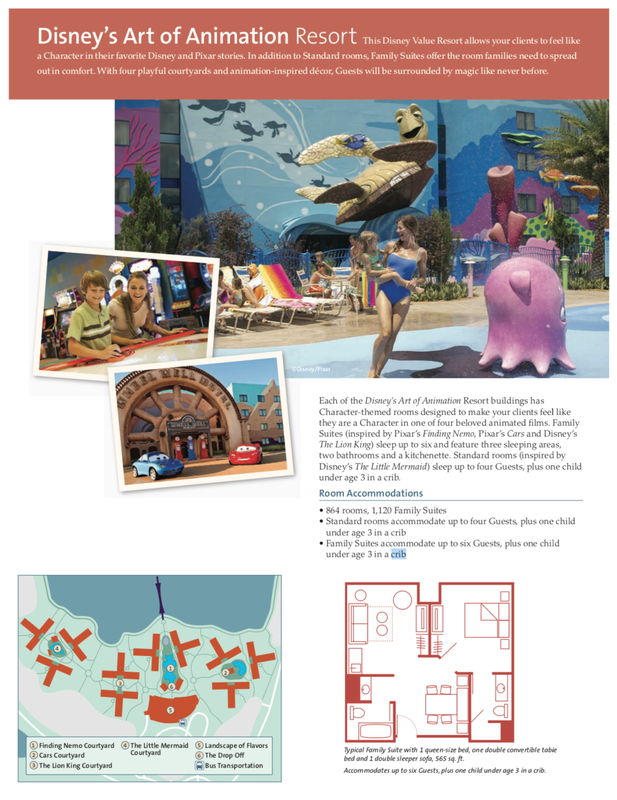 It definitely has more of that yacht club feeling rather than just a beach-themed resort. 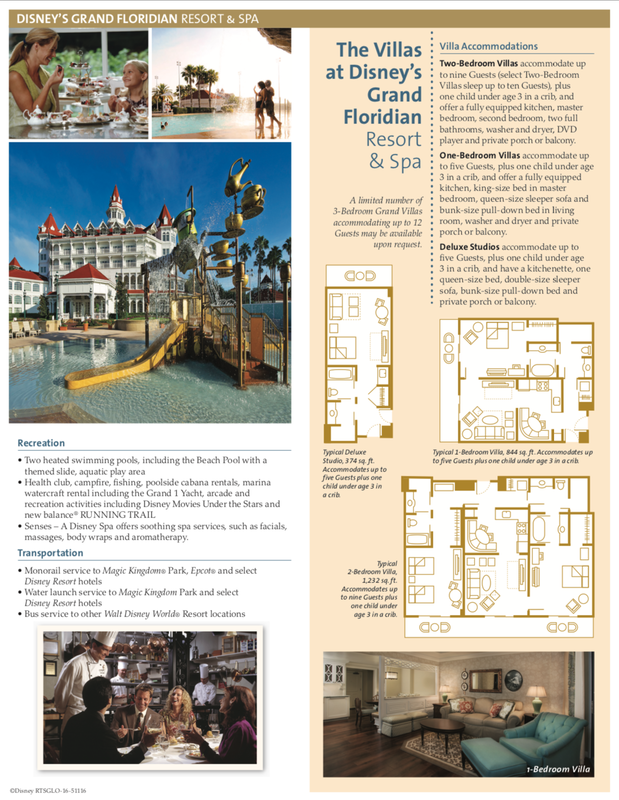 Again, similar to my experience at The Grand Floridian, it manages to not be pretentious or stuffy and you feel just as at home here as you would anywhere else on property. It has a convention center associated with it, and therefore it isn't uncommon to see folks dressed in business attire, as opposed to more resort casual attire that is more common at The Beach Club Resort. Between the two resorts, I think I like them both equally and could stay at either and not have any regrets. I am not going to talk a lot about either place today as I will literally be staying in a Water View Club Level room at the Beach Club in April and I will have LOTS more to say then. 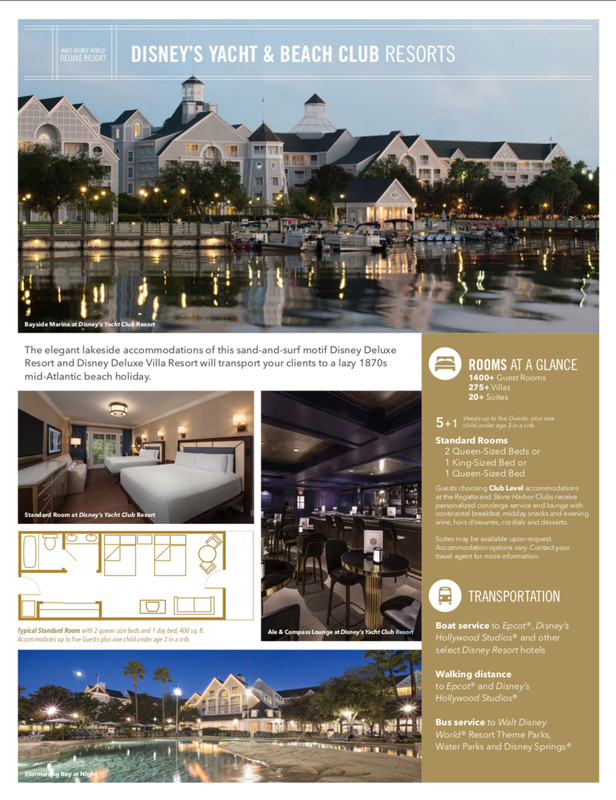 Below I included Beach Club Resort photos, accommodation information for both resorts, some standard room photos at each resort and a few photos of the Yacht Club Resort. ​Thank you for taking the time to read my blog. Please share us with your friends and family. Feel free to leave a comment or question either here on on our Facebook page and remember to give us a LIKE. We started the day back at The Contemporary Resort and we were served a delicious buffet style breakfast at The Wave . . . of American Flavors. There was a wide range of items to choose from and I loaded up my plate to just about overflowing. ​As a southerner, I was always a little sad that grits were never a thing I liked. When I saw them on this buffet, I decided to give them another go. They were delicious. Ceddar grits, to be specific. YUMMY! Our trainer also highly recommended the Wave Signature Sweet Potato Pancakes, and they also did not disappoint. Try them WITHOUT syrup first, and you may decide they stand alone and do not need extra anything. After breakfast, we went back to our meeting room and learned all about why you should visit Disney in 2019. So many new and exciting things happening that I have shared and will continue to share as the year goes on. After that, it was time for more resort tours and this day was PACKED with touring. Our first stop and what I will focus on in the Blog is our visit to Art of Animation and Pop Century. The way to our heart is through food, and they fed us VERY well on this trip. Upon entering Art of Animation, we went directly to their quick service location, Landscape of Flavors. Let me just say, if you can't find something delicious to eat here, you won't find it anywhere. This place had such a wide variety of selections, it was almost impossible to choose what to eat. And the dessert. . . Lort have mercy, just fabulous. I was completely impressed with this dining experience, and frankly was surprised at how much I enjoyed it. 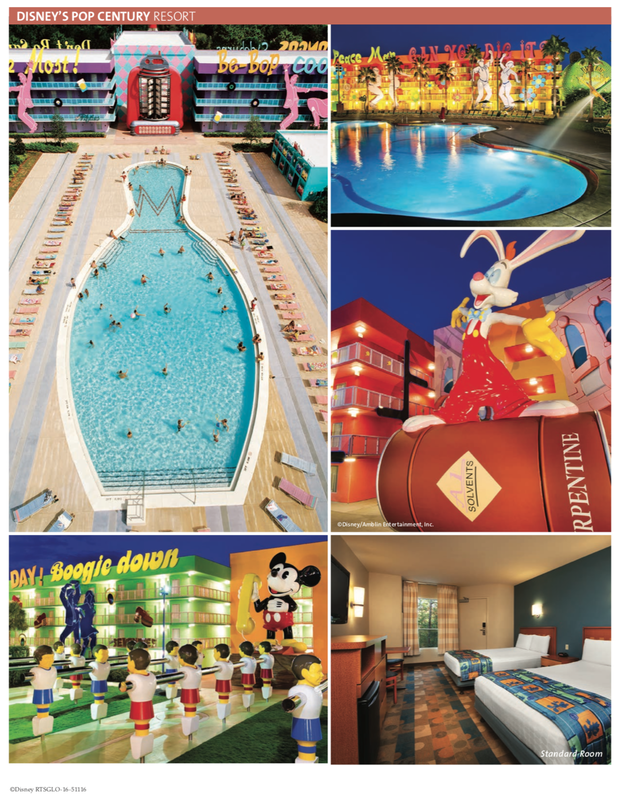 Can I just tell you how much I loved Pop Century Resort? This ended up being a surprise to me as I had never been here, nor had I given it much thought. 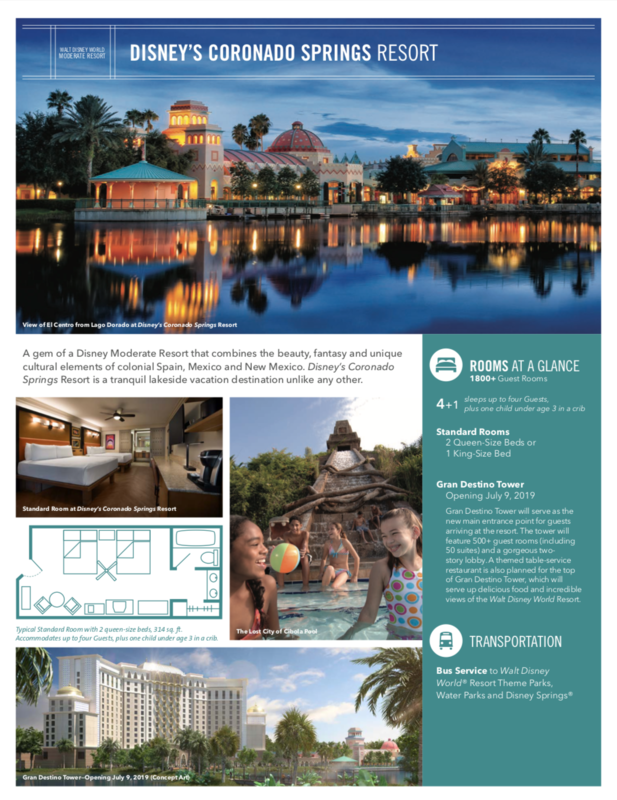 I left here feeling like this resort is a fantastic option for those wanting to save on accommodations, and maybe splurge on extras like the Deluxe Dining Plan, Early Morning Magic, Disney After Hours, (I will have a Blog dedicated to THIS soon), or even VIP tours. FYI- I can book all of these for my clients. My husband and I are bed snobs and require a minimum of a queen size bed. When our daughter was young enough to thoroughly enjoy theming offered at these resorts, we turned our noses up because of the double bed situation. Well that has all changed. 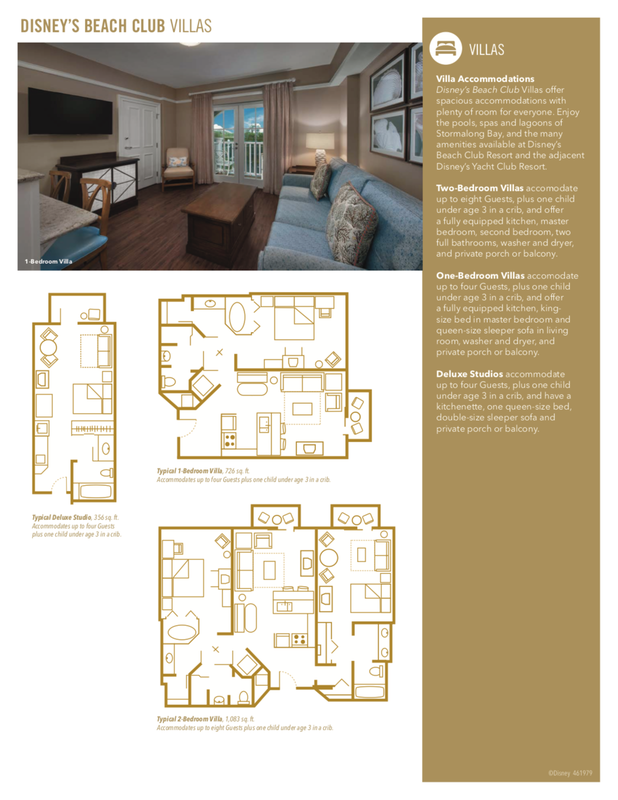 With recent refurbishments, which, by the way, do NOT feel like you are staying in a value resort, Pop offers a king or queen size beds in all the rooms, plus a fold down desk that converts into a queen size bed. And the rooms are so nicely done, you would have NO idea you were in a value resort. And let me also point out how fantastic the theming is. It is over the top. I think no matter your age, Pop Century will have a theme that appeals to you. It was just an adorably eye pleasing resort with surprises around every corner and details details details. As always, I hope you enjoyed this Blog and that you can give us a LIKE or SHARE. Almost all of my business come from referrals or repeat clients and I appreciate each of you! Click on the f ​below to visit our Facebook page.